Are community enterprises easier in the city? I was recently invited to sit on a panel at an event organised by the Plunkett Foundation, a charity that promotes and supports co-operatives and social enterprises in rural communities. The session explored the similarities and differences of setting up a community enterprise in urban and rural settings and it sparked some interesting dialogue. Presented below are a scattering of notes from the session. My angle is mostly focused on the perspective of community food enterprises. I’ll start with a case study. I was invited into the discussion because of my work at Sutton Community Farm, an enterprise on the edges of South London. We hover between the urban and the rural, a space we call peri-urban. Our land is designated as Metropolitan Green Belt, which means it has strong planning policy protections against future developments and restrictions on the use of land. The fundamental aim of Green Belt is to prevent urban sprawl by keeping land permanently open. 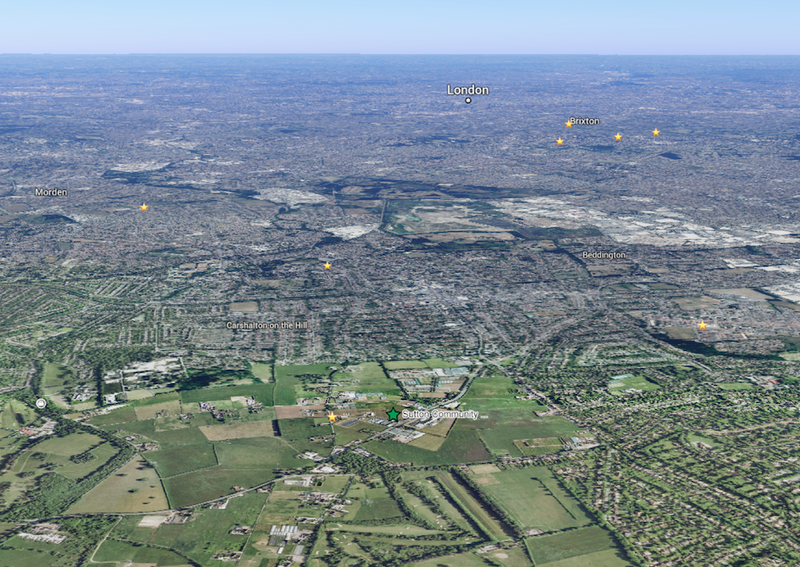 The peri-urban zone: Metropolitan Green Belt land can be clearly seen in this photo of the southern edges of London where the urban sprawl stops. The estate in the photo is called Little Woodcote Estate and is owned by Surrey County Council. Although small by rural standards, our seven acre holding feels luxurious in size, given our proximity to London. I often look across our field at the glimmering skyline at sunset as it bubbles with life, brimming with opportunities and full of promise. On grey days when I’m less optimistic, I see it weighed down under stress and congestion. The beautiful part about working on a farm, is that it offers you space to reflect, but I digress..
A farm positioned on the urban fringes has both unique opportunities and challenges. In theory, the proximity to the city should provide us with an endless number of customers who seek super local, fresh produce. However at our small scale, there are various economies of scale that we cannot realise. A VegBox scheme is the easiest way for us to distribute the variety of vegetables that we grow with minimal waste, however the margins are low and finding customers is still challenging under the shadow of supermarkets that offer cheap food at a convenience. We also sell our produce wholesale to restaurants. Our main challenge here is around matching demand and supply. While we have restaurants that are keen to source local, their ordering is often at short notice and very specific in the produce and quantity desired. Some of these challenges are being overcome as we nurture our relationships with the chefs. Scale is still a challenge though. It’s worth keeping in mind that London is a big and we aren’t that close to the centre. It’s a 25 mile round trip and the delivery costs and congestion charges rack up when we are supplying into the centre. While urban and peri-urban farms may not have scale on their side, they do have the proximity of a large population that are a potential marketplace for services such as education, ecotherapy and business away days. The key in community farming is to identify your USPs and the understand the potential for each income stream, building your enterprise around this. It’s easier said than done. The primary motivator for most food enterprises is, understandably, to produce food. However this is the one income stream that pays such a measly amount; this can demotivate and undermine a project’s rationale. It’s a common tension for community farms and many are struggling to diversify to fill the revenue gaps so that everyone gets paid. So in summary, my experience is on the fringes of the city where I’d argue that a community food project can harness a greater and more diverse income stream. The best of both worlds! But I’m not saying it’s been an easy ride. How do the needs of urban and rural communities differ? Behind every enterprise is a collection of people driving it. To help us understand the unique challenges of setting up a community enterprise in urban and rural areas, it’s important to understand as best we can, the challenges faced by the people in each of these communities. The needs and desires of urban and rural people are broadly the same, but the ability to fulfil these needs differs significantly. Those shared needs include a sense of community, safety and security; there’s also access to basic products and services, such as education and health. When these needs are not adequately fulfilled, those that are able to move away will leave and enterprises will struggle to make ends meet. A common trend is people moving out of rural communities to find better jobs in towns and cities, and then people moving into rural areas because the housing is cheaper. The dynamics of these movements vary significantly around the country, depending on issues such as transport access, tourism and employment opportunities. Rural communities have sparse populations, with jobs and homes scattered across a wide area. This gives rise to many complex inter-related problems spanning employment, transport, housing and childcare. A few years ago, I almost took a leap and moved into the rural countryside for a new life, but it was some of these fears that held me back. I was researching the opportunity to invest and move onto a 7 acre holding of land in rural Devon. It was part of a scheme where the land had gained temporary planning permission for the intention of supporting a new small-scale farm enterprise. This made the opportunity particularly attractive; I could build the most beautiful homestead and run a commercially viable farm that would one day also serve the community through education and horticultural therapy. That was the vision. As I plunged deeper into the details of business planning, it became clear how difficult it would be. Because of the location, I could see that the marketing and distribution of produce as an independent retailer was going to require a huge amount of energy and costs. As an outsider, not familiar with local markets and production, competition was unknown. In rural communities, the networks are also smaller and your success relies more on word-of-mouth, relationship building and trust. My educational and therapeutic horticulture ideas were scuppered as I learnt about strict Council restrictions on business activities that increased traffic on the narrow, country roads – a concern apparently shared by the neighbours. At the end of the day, these were risks I was not prepared to take on at the time. Two of the major challenges for people living in rural areas is proximity of work and finding suitable jobs. The city benefits from the density of people and businesses, while the rural is challenged by the sparsity. These challenges make rural communities more fragile, meaning enterprises can be more vulnerable to collapse. This locks many people into cities, their scale giving a feeling of boundless promise and potential. The countryside offers a slower, simpler pace. So community food enterprises in urban areas must be easier? Higher land prices: the competition for space in cities pushes up land prices. As an example, Sutton Community Farm pays around 6 times more in rent than the UK average for horticultural land (£703/acre compared to UK average of £115/acre – data from Savills). Greater land insecurity: as urban populations grow, pressure mounts on any available land. Planning policies can be vulnerable to change and so land-owners don’t want to tie up their land in long-term lease arrangements. This stifles investment into enterprises. Higher rents and living costs: mean that the enterprise will have higher staffing costs. For example, the Living Wage is calculated as £8.25 in the UK, and £9.40 in London. The average home in London is now worth more than twice the average home outside the capital – a difference approaching £200,000 (granted that London’s housing market is unique to the UK). But the cost of food remains similar in urban and rural areas: in supermarkets, the cost of food is mostly immune from the location. Therefore if the primary source of income for the project is from food, then your margins are tighter, or even negative! Another insight from experience: Londoners who come from deep in the city centre to our farm on the edges will say how much they yearn for the open space and connection with nature. These moments of access to nature are important. Yet it’s all to easy to go without connecting with the land for long periods. This has been a fairly loose collection of thoughts and I’ll try to wrap up with some final thoughts that look ahead to solutions. These thoughts are rather rushed, but I’m keen to consider some practical steps forward. I want to understand if there are some solutions that can simultaneously help the separate sets of challenges faced by urban and rural communities. And consider if we foster a stronger sense of connection between the two communities? Some brief thoughts. Firstly, investment into food and horticultural education in schools is desperately needed to encourage a new generation of farmers. This will support urban food projects, create better links to rural communities and create more draws to the countryside. Second, agricultural policies are not working to support a wider range of thriving family farms, rather they incentivise industrialised farms (the Landworker’s Alliance have a range of policy suggestions on this). Third, supermarkets, have too much power over the food chain and government policy to regulate their practices is too weak – this is a whole can of worms for another discussion. Open source technology or co-operative platforms can assist people in both communities to access local food affordably. 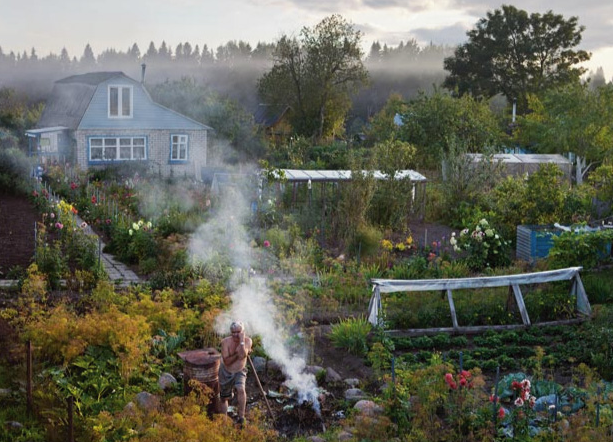 And finally, in urban environments, planning policies should support increased food growing spaces and encourage garden cities, following in the vain of Ebenezer Howard’s ideas. 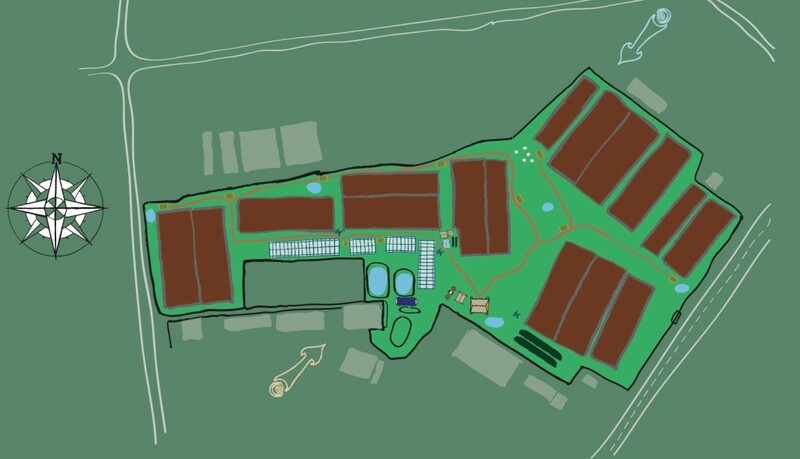 Next Post Stepping up and looking forward: what next for Sutton Community Farm?